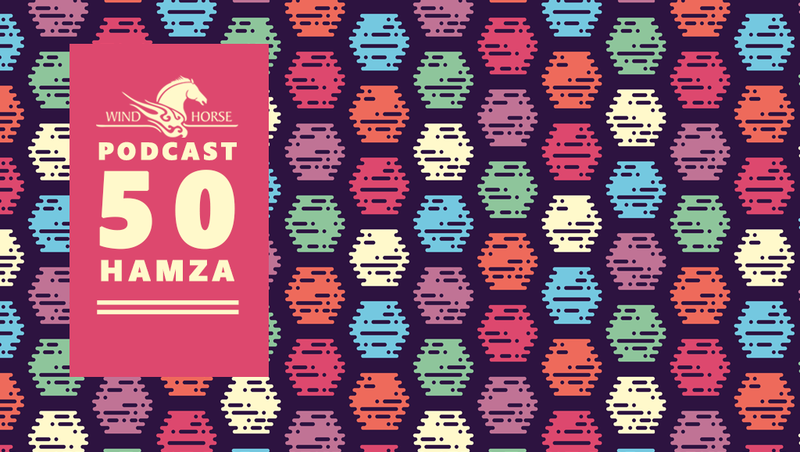 50th episode of WHR Podcast is featuring DJ/Producer and owner of Wind Horse Records Hamza Rahimtula aka Hamza. This podcast features artist like Damian Lazarus, Re.you, Aroop Roy, Marcelo Cura, Traumer and many more. Hailing from New Delhi, Hamza has attained a reputation as a pioneer of the house scene in India and one of the more innovative and exciting producers today. Hamza’s diverse international sound is influenced from his strong musical background as well as growing up in India and traveling the world, living in Paris, Boston, and New York. Early in his journey, exposure to renowned house DJs such as Terry Francis, Dave Mothersole, DJ Heather, and Danny Tenaglia inspired Hamza to create his own electronic dance productions. Soon he found a unique style of house music combining deep, tribal, and funky sounds with strong world music influences. Hamza is also a top-notch DJ, bringing his fresh sound to dance floors from New York to Portugal, Boston to Hyderabad, Paris to Pune. His sets typically start with his signature deep house sound, heavily influenced by Latin/Afro/world flavors, before developing into powerful tribal and deep, tech-house influenced beats perfect for the peak time. Hamza’s unmistakable style, combined with many of his own productions, create memorable DJ sets that turn clubbers into instant fans and followers. Also, this combination of potent DJ sets and a renowned production style has gathered the interest of prominent labels outside of Wind Horse, and Hamza’s releases have found homes on the likes of Kompakt, King Street Sounds, Nitegrooves, and Monique Speciale. Currently, Hamza is working on expanding his base in New Delhi to include regular stays in Europe and North America to allow for global partnerships and yearly DJ tours in different parts of the world. Hamza recently completed a tour of the USA, taking him from New York to San Francisco, as well as European dates in Berlin and Porto. Hamza continues to push the envelope, experimenting as a DJ through collaborations with the talented Mr. Bista, a jazz vocalist providing improvised performances using voice processors and effects over the deep house sets. Well-received at the label’s Indian sunset parties and gigs, Mr. Bista also appears on two of Hamza’s album tracks, with more collaborations yet to come. Besides Mr. Bista, Hamza has been furthering developing his stage collaborations with Latif and Jaisa khan (Gypsy Percussionists from Rajasthan, India) and Manu Idhra (Percussionist form Portugal). As for Wind Horse Records, Hamza’s vision is unstoppable as the label continues to grow and spread the sound and philosophy of India’s house music scene worldwide. The label has been sponsoring events, such as its popular Sunday Sundowner Sessions series in Delhi, which has become the main deep house outlet in the city. 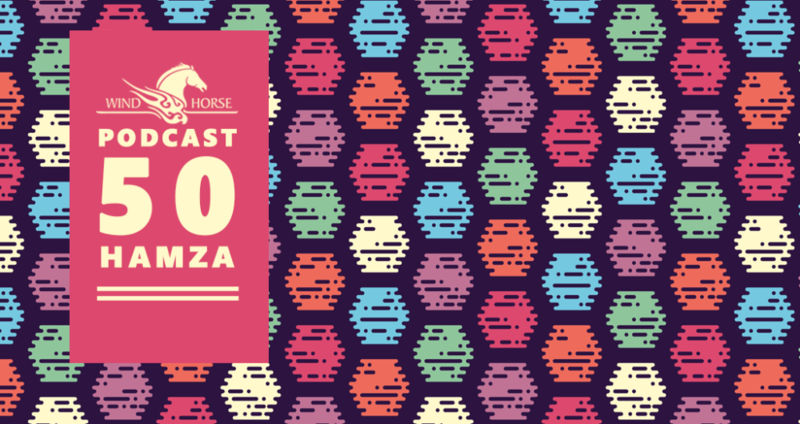 Wind Horse plans to take these Sessions elsewhere, exposing the rest of India to the label’s deep house sound. Also, after five years, Wind Horse recognizes its accumulated family of top-notch Indian DJ talent by launching the Wind Horse Agency. The agency will showcase the best deep house, nu-disco, tech-house, and world beat DJs in the country, exposing them on a pan-Indian level and then building audiences globally. As always, Wind Horse remains ambitious but with a tight sense of community, a combination that cultivates its unique, rich flavor. Hamza has established himself as one to keep a close eye on in the house music scene and looks to never slow down. With his impressive list of past and upcoming projects as well as fiery worldwide DJ performances Hamza is quickly becoming an important and influential talent in his own right. Through Wind Horse Records and his inventive east-west fusions, Hamza is working to bring the world closer to his listeners, one beat at a time.